Are you a Florida snowbird? 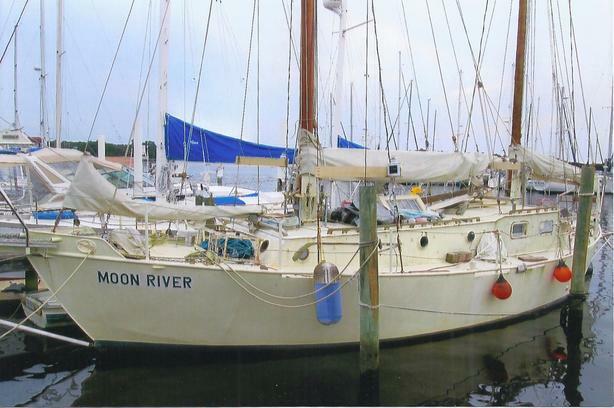 I inherited this Canadian-registered 1970 40ft Tahiti steel ketch sailboat, moored in Jacksonville Florida. I want to sell to a Canadian buyer to make the transaction simple. Before the owner died, he was preparing the boat to sail it to Canada. Hull needs cleaning. Minimum checks done verify motor starts. Buyer needs to perform complete systems check. Fordson Major "Senator" 4 Cyl, 220 cubic inch Diesel Engine - starts up great! 2 Jabsco: 1 for fresh water system and 1 for salt water intake for domestic use. Head system: In 2005 toilet was replaced with Jabsco; hoses and lines also replaced. Holding tank is SS. Toilet pumps into holding tank which has a Y valve system. Can be pumped out through deck fitting or discharged offshore through Jabsco Macerator pump.